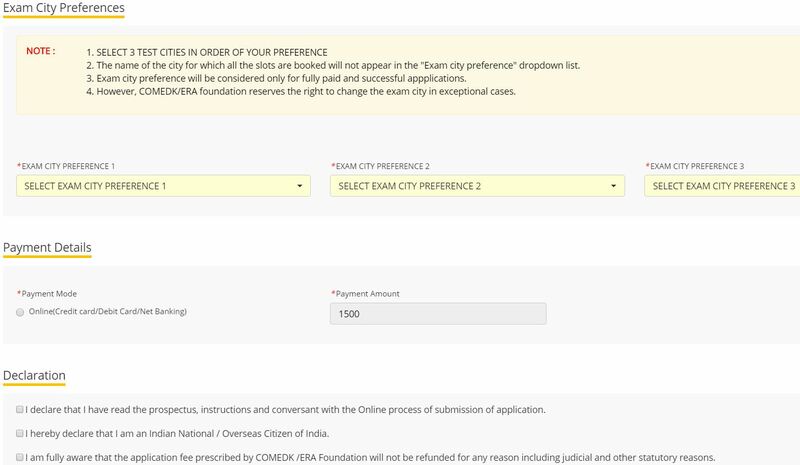 COMEDK Application Form 2019: COMEDK UGET exam is held for selecting candidates for admission to various engineering colleges in the state of Karnataka. 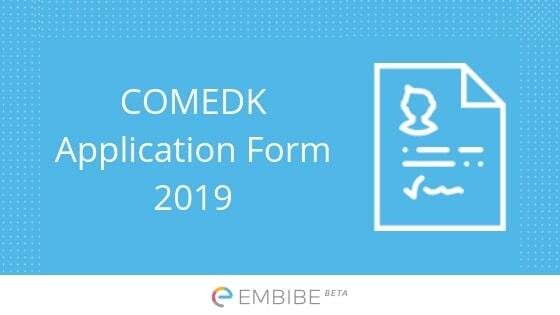 COMEDK Application Form 2019 is accessible on the official website from January 16th, 2019 to April 19th, 2019. 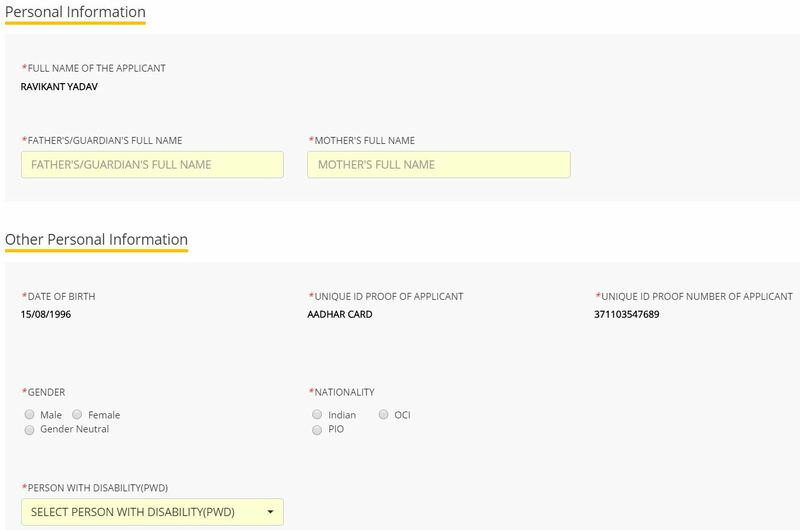 COMEDK Application Form is to be filled online and no offline facility is available for it. Applicants need to log in to the official website of COMEDK, i.e. comedk.org to fill their online application form. There are various steps that candidates have to abide by while filling up the COMEDK 2019 application form. This article will provide all the necessary information about COMEDK online registration. 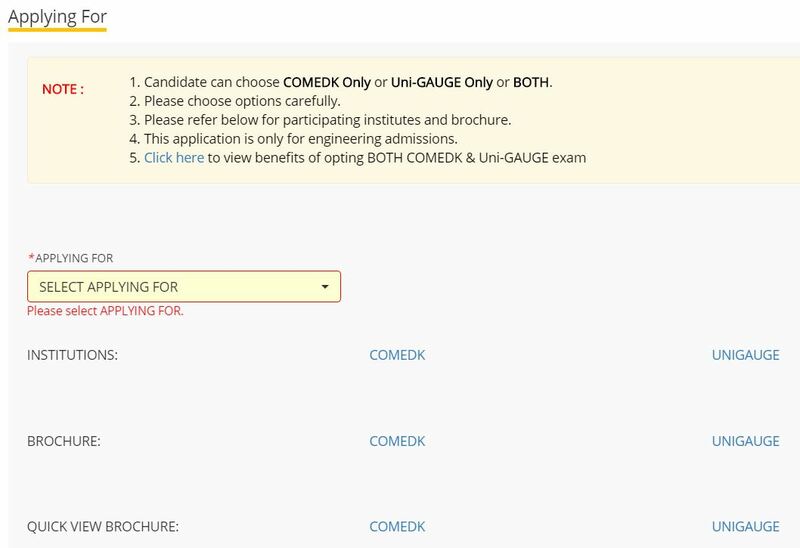 COMEDK UGET application form is available to the candidates in online mode only. Candidates should fill the form before the last date of registration. Applicants are not required to send the hard copy of their application form by post to the university. Candidate’s ID Proof (Aadhar Card, Passport, PAN Card, Voter ID, Driving License, College Photo ID etc. Step 2 Click on “Apply for UGET 2019”. Step 3 Now click on “Register for COMEDK UGET & Uni-GAUGE EMeD”. Step 4 After that click on “Click here to register”. 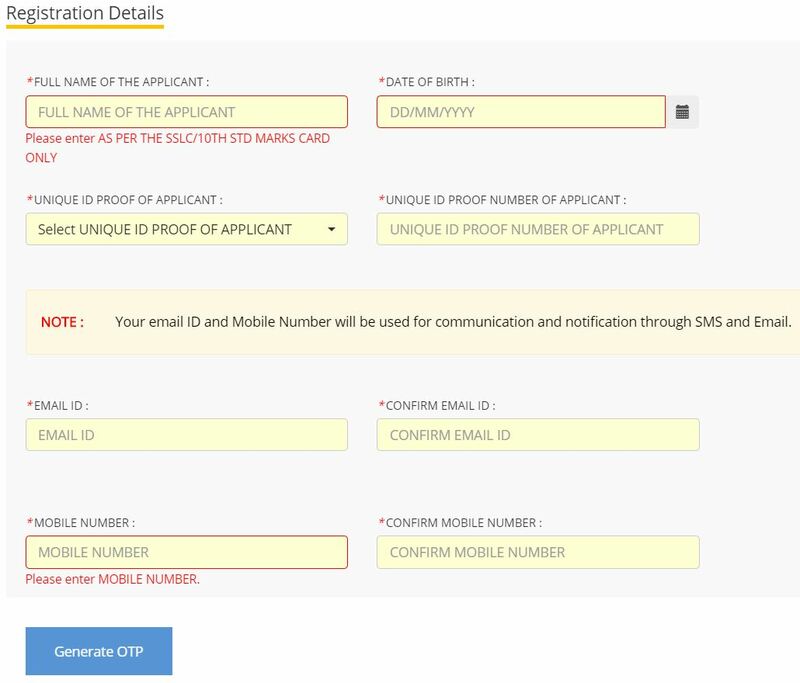 Step 5 Fill in the required details like “Name of the Applicant”, “DOB”, “Unique Photo ID Proof”, “Photo ID Proof Number”, “Email ID” and “Mobile Number”. Step 6 Enter the “Security Code”. Step 7 Click on the “Submit” option. Step 8 A new window having your previously entered registration details will open. Step 9 Re-check all the details and submit your application. 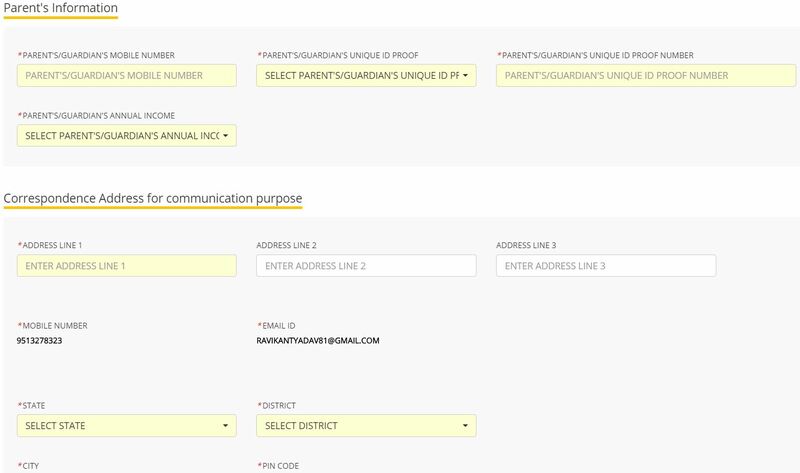 Step 10 Click on the “Print” option to take out the print of the form for future reference. Step 1 Log on to the email ID that you previously entered while registering. Step 2 Open the mail you received related to “COMEDK UGET”. It will have your User ID and Password. Step 3 Go to the COMEDK official website and login with these credentials. Step 4 After that click on “Go to application form”. Step 5 Select your preferred stream and course. Step 6 Click on “Save and Continue”. 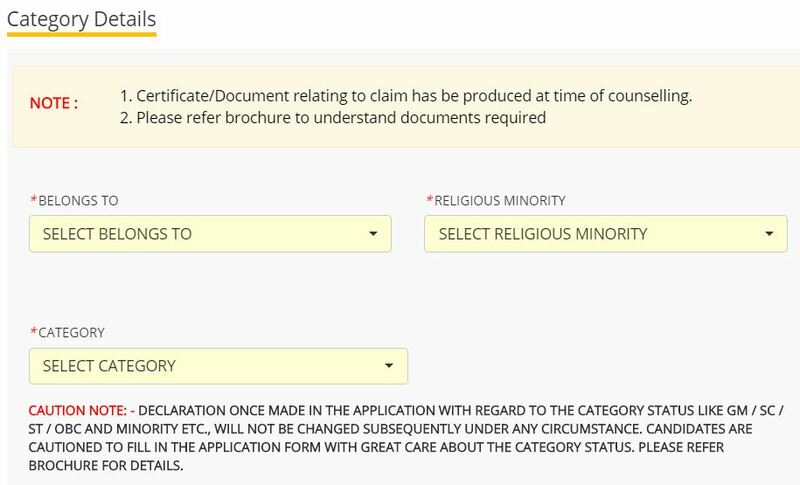 Step 7 Carefully enter your Personal, Category and Academic details. Step 8 Upload your Photograph and Signature, Parents Signature, your ID Proof, and Declaration. Step 9 Enter your “Payment Mode” and make payment of COMEDK application fees. Step 10 Enter “Security code”. Step 11 Tick the “I Agree” checkbox. Step 12 Click on the “Submit” button. Step 13 Take a print out of the form for future reference. Passport size photograph: Maximum file size should be 80 KB and should be in JPG or JPEG Format. Applicant’s Signature: Less than 80 KB and JPG or JPEG Format on a white sheet with a black ink pen. 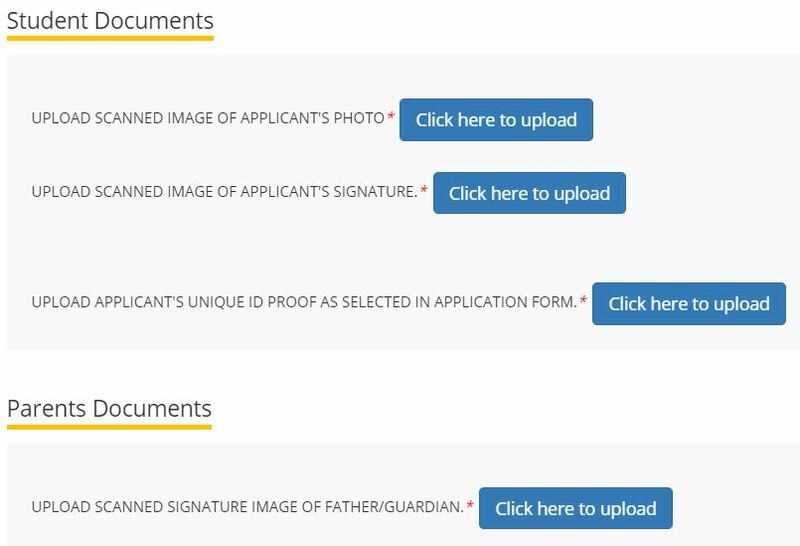 Applicant’s scanned ID proof: Maximum file should be 150 KB and should be in JPG or JPEG Format. Guardian’s Signature: Less than 80 KB and JPG or JPEG Format on a white sheet with a black ink pen. Application form of applicants which are incomplete or contain incorrect information is subjected to rejection without information. Applicants are advised to stay updated on this by checking the COMEDK website regularly. Candidates who wish to re-apply should register themselves with a new email ID and submit the form with essential information and documents by the end of the submission date. To avoid rejection of any kind, candidates should double-check the form for any errors. The authority can be contacted from Monday to Friday between 10 am to 5 pm. On Saturdays, applicants can contact the authority between 10 am to 1 pm. COMEDK helpline is not operational on Sundays and other public holidays. Now that you have all the information on the COMEDK Application Form, its time you buck up and start your preparation for the exam too. It is never too early to begin your preparation. Early preparation will help you avoid confusing situations at the last moment. Practice as many COMEDK mock test paper as you can. Once you have finished the whole syllabus, it will help polish your preparation for the exam. As COMEDK syllabus is similar to that of JEE Main, it is advisable for you to practice JEE Main Mock Tests as much as you can. Also, solve JEE Main practice questions on Embibe. You can also take COMEDK Mock Test on the official website of COMEDK. If you face any issue with COMEDK Application Form, do drop down your queries in the comments section below and we will get back to you.